Chinook City Roller Derby is excited to present the Slice-A-Gogo Boot Camp, featuring world class coaches including: Kenbo Slice (Team USA, New York Shock Exchange), Vicious Van Gogo (Gotham Girls Roller Derby), Andre Morson (Team Canada Mens Roller Derby) and Abby Lever (Team Canada). The boot camp takes place at the George Blundun Arena in Calgary, Alberta, from May 20-21, 2017 (the May Long Weekend). Tickets are just $95 until May 6th, and selling fast. Regular price is $130! Register online by filling in our Registration Form. All adult skaters and level 3 juniors ages 15 and up are welcome. 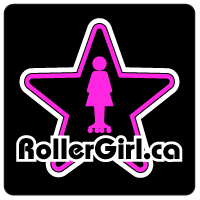 All skaters must have passed a recent WFTDA minimum skills assessment. Our next FreshMeat Taster Session/Intake is scheduled for April 6th. Join us to learn more about the sport and strap some skates on and get a feel for it. This session is free! CLICK HERE to sign up! And view our Facebook Event for more information! We have won the bid to host the second Men’s Roller Derby World Cup right here in Calgary, Alberta and we are very excited to be hosting! 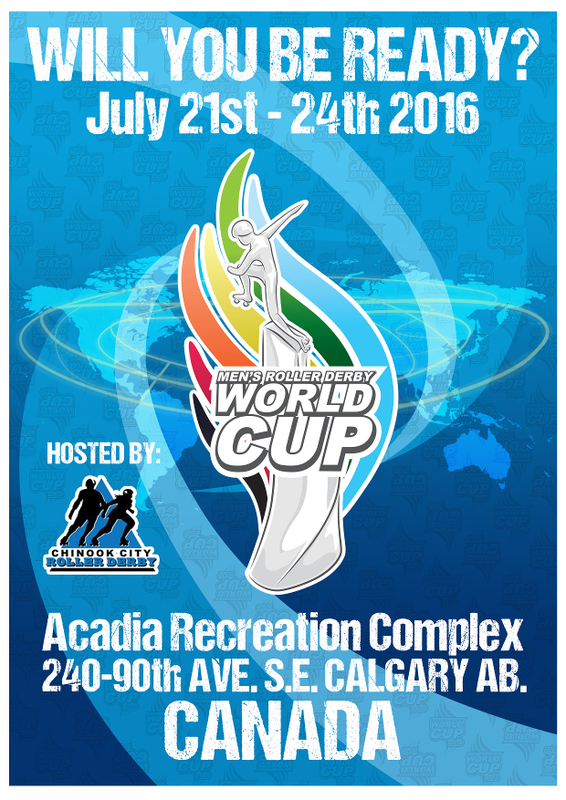 The 2016 Men’s Roller Derby World Cup takes place July 21-24, 2016 at the Acadia Recreation Complex in southwest Calgary. Twenty men’s teams from around the world, comprised of the world’s best male skaters, will descend on Calgary to compete for the World Cup. This World Cup will be second World Cup competition for men’s roller derby (the first took place in Birmingham, England, in 2014). Team USA, Team England and Team Canada placed first, second and third respectively out of a 16 team field at this event. Early bird tickets for the 2016 Men’s Roller Derby World Cup go on sale July 14, 2015. Follow the tournament on Facebook and Twitter, the MRDWC website or right here on our website for details as they are announced.